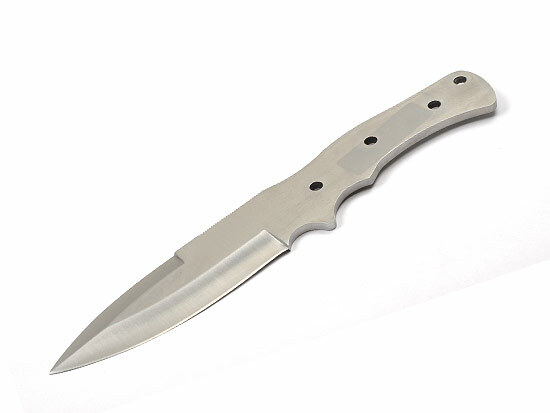 This satin finished, stainless steel knife has an overall length of 10-3/8". The blade is 4-3/4" long, 1-5/8" wide, and 3/16" thick. There is a partial false edge and thumb grooves. Use a 1/4" pin for the handles and 1/4" thong hole tubing for the thong hole.